Merrell Fankhauser has led one of the most diverse and interesting careers in music. He was born in Louisville, Kentucky, and moved to California when he was 13 years old. Merrell went on to become one of the innovators of surf music and psychedelic folk rock. His travels from Hollywood to his 15-year jungle experience on the island of Maui have been documented in numerous music books and magazines in the United States and Europe. Merrell has gained legendary international status throughout the field of rock music; his credits include over 250 songs published and released. He is a multi-talented singer/songwriter and unique guitar player whose sound has delighted listeners for over 35 years. This extraordinary book tells a unique story of one of the founding fathers of surf rock, who went on to play in a succession of progressive and psychedelic bands and to meet some of the greatest names in the business, including Captain Beefheart, Randy California, The Beach Boys, Jan and Dean.... and there is even a run in with the notorious Manson family. Often critically-acclaimed and commercially-challenged, cult rockers are those artists that exist forever on the outer edge of the mainstream music biz. Pursuing their own unique and frequently hallucinogenic artistic vision, musicians like Roky Erickson, Daniel Johnston, Jandek, or Wesley Willis represent the cult rock fringe. Creative geniuses like R. Stevie Moore, Robyn Hitchcock, and Game Theory’s Scott Miller are also considered cult rockers, albeit with varying degrees of respectability and success, but all enjoyed lengthy and creative careers. However, none of them hold a candle to the one and only Merrell Fankhauser. Perhaps the cult artist’s cult artist, Fankhauser’s credentials read like rock ‘n’ roll mythology. Born in Louisville, Kentucky, Merrell moved to California as a teenager, where he became one of the early innovators of surf music and psychedelic rock. Since joining the influential surf-rock band the Impacts in 1960, Fankhauser would go on to play in a veritable “who’s who” of cult rock outfits, including Merrell & the Exiles, HMS Bounty, Fapardokly (less a band than a concept), Fankhauser-Cassidy Band, and MU, among others, and as a songwriter he has better than 400 published songs to his credit. A 2011 Grammy™ Award nominee, Fankhauser has also performed and recording with musicians like John “Drumbo” French of Captain Beefheart’s Magic Band, John Cipollina of Quicksilver Messenger Service, Peter Noone of the Monkees, and Jay Ferguson and Ed Cassidy of Spirit, among others. Both with these bands and as a solo artist, Fankhauser has made a lot of interesting and entertaining music that has defined the boundaries of surf, psychedelic, and roots-rock, gaining the musician a small but loyal worldwide following. Late last year, Fankhauser published his long-anticipated autobiography, Calling From A Star. In slightly more than 200 pages, Fankhauser shares stories from better than 50 years spent in the business, including his experiences with artists like Willie Nelson, the Beach Boys, Jan and Dean, John Lennon, Captain Beefheart, and even an interlude with members of the infamous Charlie Manson family. Fankhauser also writes about the various television shows that he’s been involved with, including California Music, Route 55 TV Live, and the popular Tiki Lounge program. “I started the book in 1990 after years of friends and fans telling me I've had such an adventurous life that most rock stars don't have,” Merrell says in a press release for the autobiography. “Playing with so many music icons, moving to Maui, searching for the Lost Continent of MU, and now over 400 songs published! 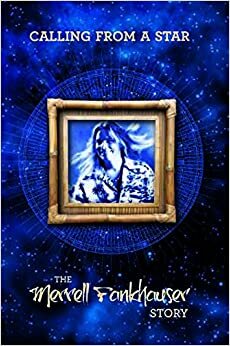 I kept trying to finish the book but because of my live playing schedule, writing, recording and doing a regular TV show…it took years to finish!” Find out more about this legendary rocker on his website, and use the link below to buy a copy of Fankhauser’s Calling From A Star to get the whole story! For nearly 60 years, Merrell Fankhauser has been playing music professionally, so one can certainly imagine how exciting his autobiography, Calling From a Star: The Merrell Fankhauser Story must be. Born December 23, 1943, the critically acclaimed singer, songwriter and guitarist spent the first decade of his life in Kentucky. Merrell Fankhauser had a happy and carefree childhood revolving around fishing, hunting, and exploring the great outdoors. Although he always enjoyed music, the bug really bit when rock and roll was born. Now living in Southern California with his parents and younger sister, Merrell picked up the guitar and was soon a fixture on the local circuit. Surf rock was all the rage, and Merrell’s band, the Impacts, made an instant impact. They released an album, “Wipe Out!,” in which a slightly modified version of the title track later became a huge hit for the Surfaris. The saga of how the tune was hijacked is revealed in full detail, which gave Merrell Fankhauser a taste of the shady side of the business early on. But there’s actually no bitterness or regrets to be had anywhere in Calling From a Star: The Merrell Fankhauser Story, as an undying commitment to the music keeps the boat afloat. Flaky management, aborted record deals, spotty promotion, and broken promises never prevented Merrell from doing what he loves. But his successes far exceed his disappointments. Sticking to what fires his soul, Merrell has consistently turned in artistically satisfying work. The mid-1960s spawned an incredible musical and social revolution, and Merrell Fankhauser was stationedright on the frontlines. Bands like Merrell and the Exiles, Fapardorkly, and HMS Bounty produced some mighty cool and inventive sounds, running the floor from pop to folk rock to psychedelic experimentation. Merrell charts the trials, tribulations, and triumphs of these bands and their recordings with vivid recollection. An interest Mu, a continent believed to be lost in the Pacific Ocean where ancient Egyptian civilizations dwelled, prompted the name of Merrell’s fabled ’70s bluesy progressive rock band. Not long after Mu was formed, Merrell moved to Hawaii. Music, meditation, and Maui Wowie flourished and flowed amid the gorgeous terrain. Collaborations with numerous well-known musicians, including John Cippolina of Quicksilver Messenger Service, Ed Cassidy of Spirit, and Peter Noone are documented in Calling From a Star: The Merrell Fankhauser Story, along with the strange behavior of Don Van Vliet (aka Captain Beefheart), visiting Sky Saxon in the hospital, meeting John Lennon, a UFO sighting, having a heart attack, driving in circles on Northern California highways, getting scratched by actress Jane Russell, band reunions, and family relationships. Aside from his many musical accomplishments, Merrell Fankhauser has also been hosting The Tiki Lounge Show for over a decade, which features interviews with legendary performers and is aired on both TV and the internet. Refusing to rest on his laurels, Merrell continues to remain active, prolific, visible, and creative. Boasting a positive attitude, he approaches projects with enthusiasm and an open-mind. Candid and rich with color, Calling From A Star: The Merrell Fankhauser Story (Gonzo Multimedia) not only provides a pass into Merrell’s world, but offers a raft of historic information. A conversational tone, coupled with neat photos, lends the book to be an easy and pleasant read. Calling From a Star: The Merrell Fankhauser Story is so good that I hated to see it end. But there is talk of a sequel, which is fantastic news. Merrell’s contributions to the music scene are priceless, and I’m thrilled to say his memoir is just as worthy.